Fashion accessory vector design. Fitted cap in many bright colors, different views showing the design in details. 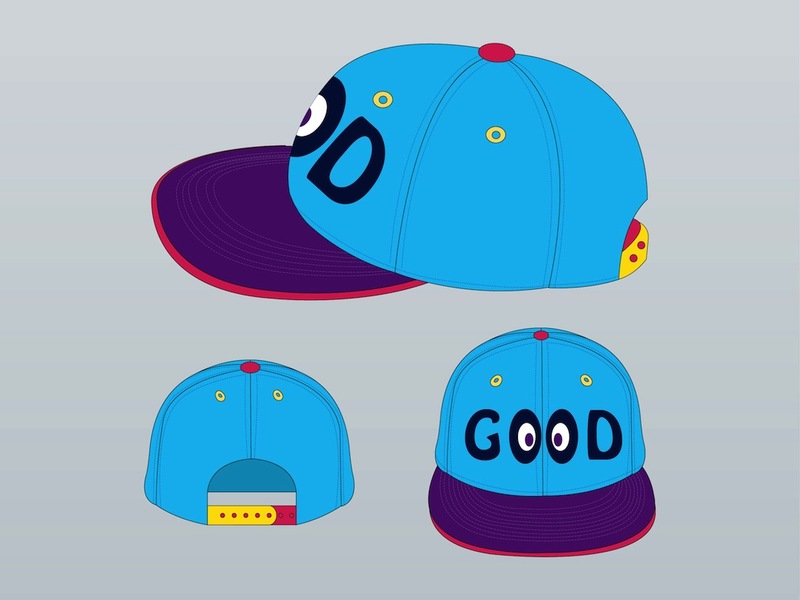 Clothing item illustration with text reading “good” in the front. Googly eyes in the Os in the word. Free vector illustration for all fashion, style, accessories, clothing items and apparel design projects. Tags: Accessory, Apparel, Colors, Fashion, Fitted Cap, Googly Eyes, Text.